Omung Kumar has finalised Randeep Hooda to play Aishwarya Rai Bachchan's brother in Sarabjit Singh's biopic. 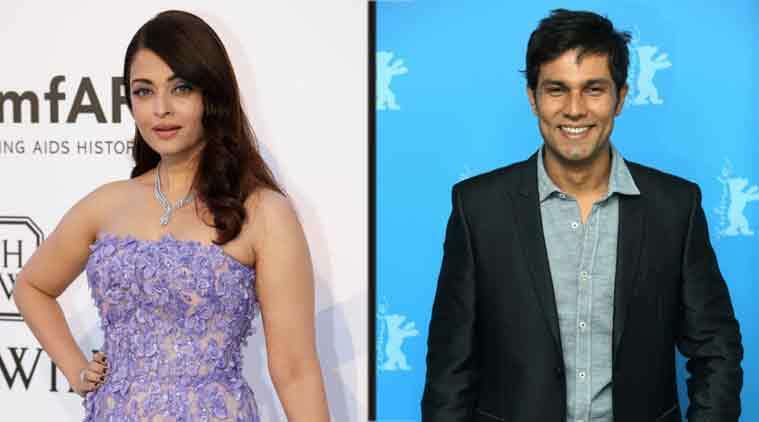 Randeep Hooda will be playing the role of Sarabjit Singh in director Omung Kumar’s biopic which will also feature Aishwarya Rai Bachchan as his sister. Actor Randeep Hooda will be playing the role of Sarabjit in director Omung Kumar’s biopic on the slain Indian prisoner Sarabjit Singh and his sister’s struggle for his release. The director himself took to Twitter to confirm the same. Omung has already finalised Aishwarya Rai Bachchan for the role of Sarabjit’s sister – Dalbir Kaur. There were reports earlier that Omung was considering Farhan Akhtar and Pakistani actor Fawad Khan for the lead role in the movie. Sarabjit, an Indian national, was convicted of terrorism and spying by a Pakistani court and sentenced to death in 1991 but the government had stayed his execution for an indefinite period in 2008. Dalbir fought for her brother’s release from the Lahore jail but her quest ended tragically when he died in 2013 following a brutal attack by fellow prisoners. Aishwarya, 41, and Randeep, 38, will be seen sharing screen space for the first time. “Yes Aishwarya Rai Bachchan and Randeep Hooda are going to be a part of my next biopic Sarbjit,” Omung said in a statement. Director Omung Kumar has earlier directed the much acclaimed biopic on wrestler ‘Mary Kom’ starring Priyanka Chopra. The movie garnered applauds and Priyanka was lucky to bag many awards for the role. Produced by Sandeep Singh, Zeeshan Quadri and Omung, “Sarabjit” will begin filming in October release in May 2016.